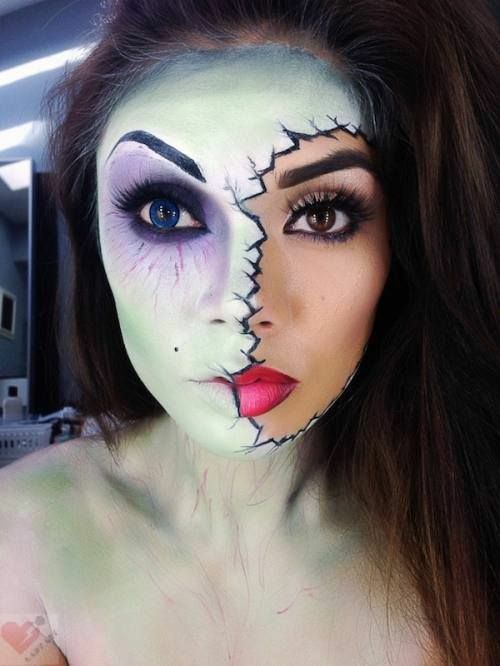 Halloween makeup represents an opportunity to show your creative ability. 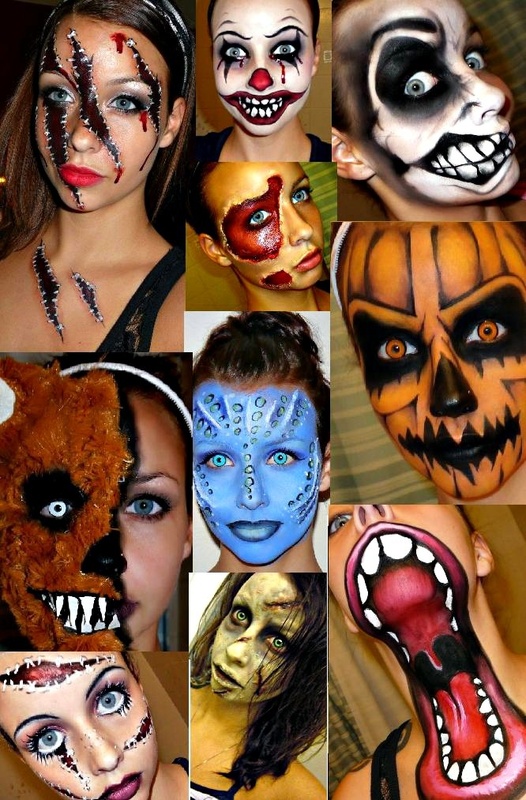 In this article, we present you some of the best new ideas to inspire you in order to draw the attention and be admired at the Halloween party. 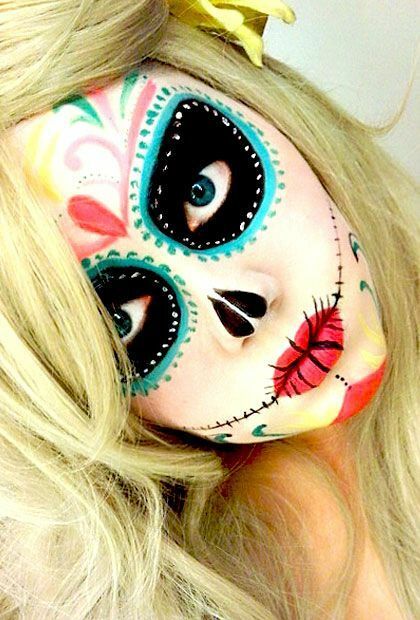 You can obtain this cool Halloween makeup in about 30 minutes. The secret is to use very much rosy flush on cheeks (make a neat circle on each cheek); then you must draw 2 lines on your chin to form the drop–jaw. 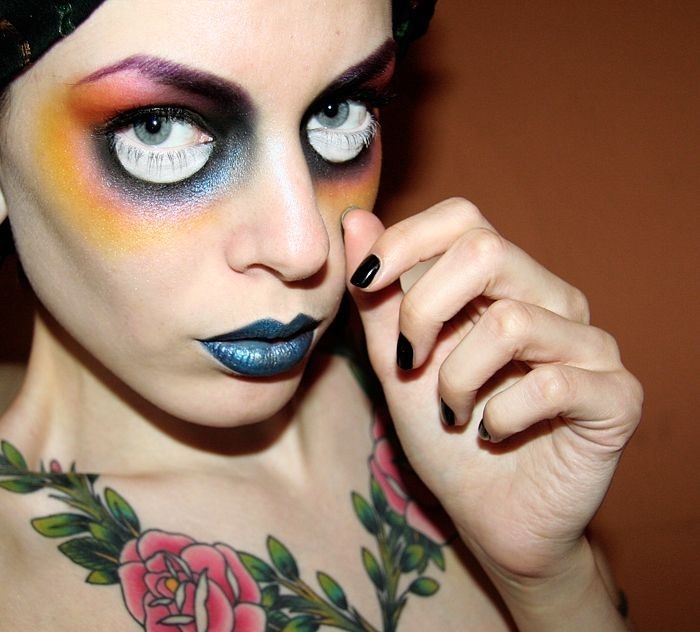 If you want to create the doe-like eyes, then use a lot of white liner. 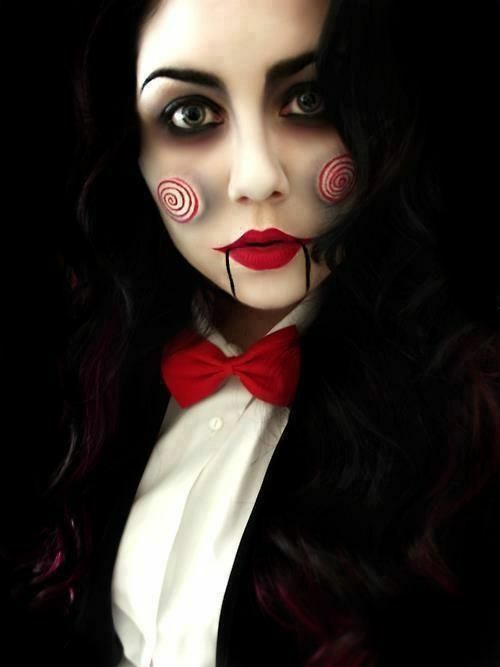 A very good choice is to makeup like your favourite character from a movie or a TV-series. 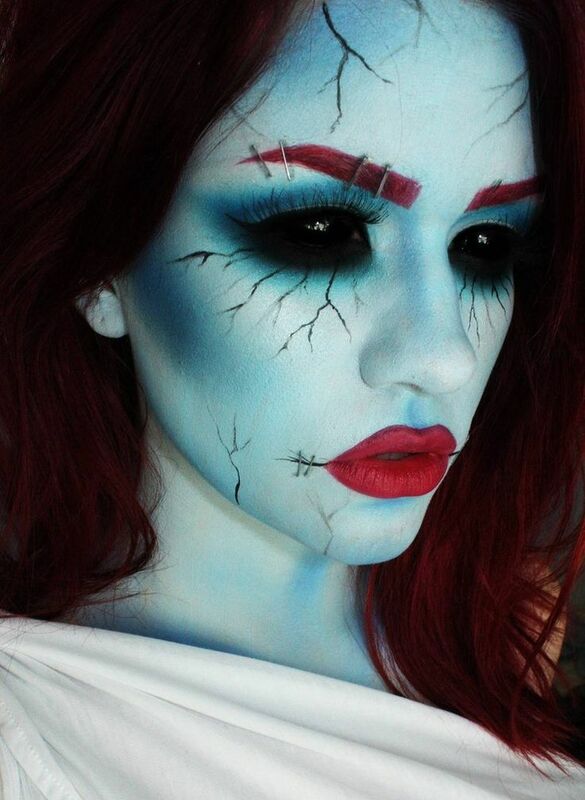 The horror or fantastic ones are the best: for example, a monster from the TV-show “Supernatural”, a story character like the ones from “Once Upon a Time” series or a medieval one from “Game of Thrones”. 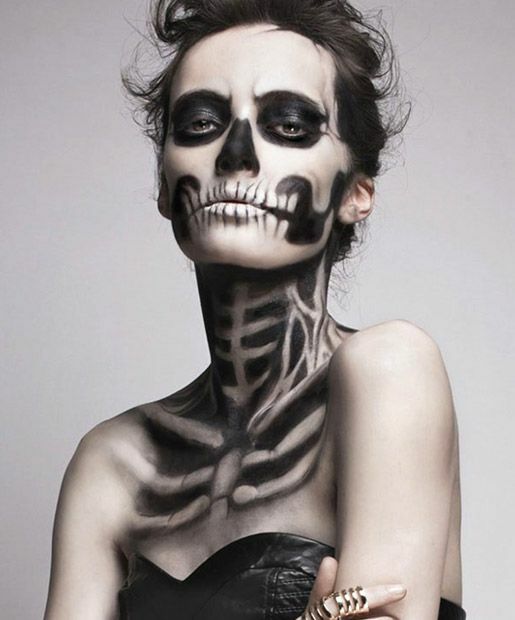 Or try to inspire yourself from any Tim Burton movie character. 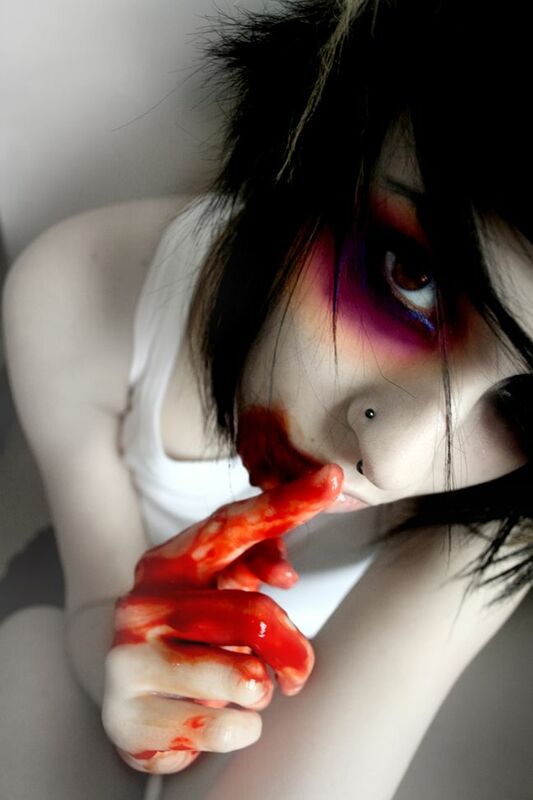 You can also try to resemble one of your favourite protagonist from a book you love or from a very popular one. 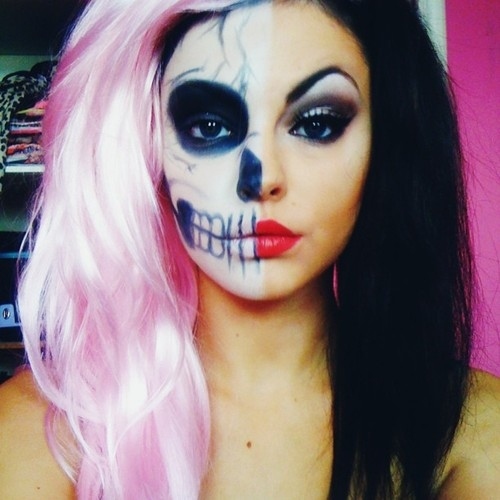 If you already have a boyfriend, or you and your best friend want to have fun or to surprise everybody, you could chose to improvise a Halloween makeup based upon the image of a famous couple. It could be either a historic one or a contemporary one. For example, choose a couple involved in a big scandal if you want to amuse your group of friends. 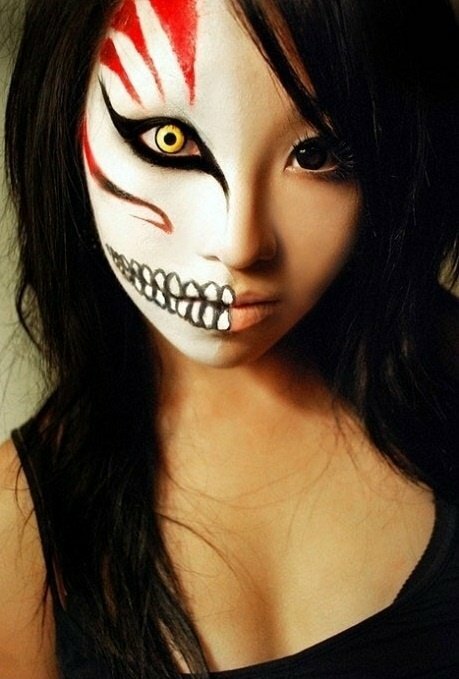 For this kind of Halloween makeup, you need to create a balance and manage to obtain a scary look without exaggerating. 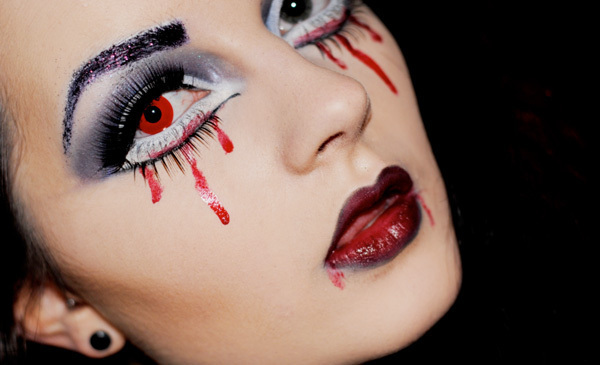 You may change the classic white paint for the face with green or grey colour, then draw the veins, paint your eyes similar to those of a raccoon, add a splash of red paint to symbolize blood and some chalky grey on the lips.